...until the 10th when we marched 13 miles and camped in a corn field by the road side. On the 10th, at about 8 o'clock in the morning, we moved forward on the Jackson road. The dust was very thick at times and water not very plenty. To-day we passed through Cayuga, a very small place. Here more evidence of hasty flight presented itself in the topsy turvy appearance of things. It seemed that the terror stricken people stood not on the order of going but suddenly vamoosed. Lavender pin - Village of Rocky Springs, the approximate position of where the 16th Ohio camped on the night of May 3 and May 4, 1863. 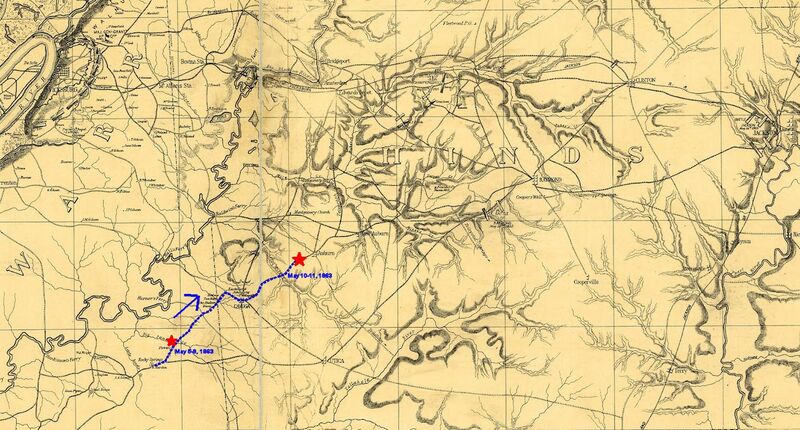 Purple pin - approximate campsite of 16th Ohio on The Jackson Road at Big Sandy Creek May 5 through 9, 1863. 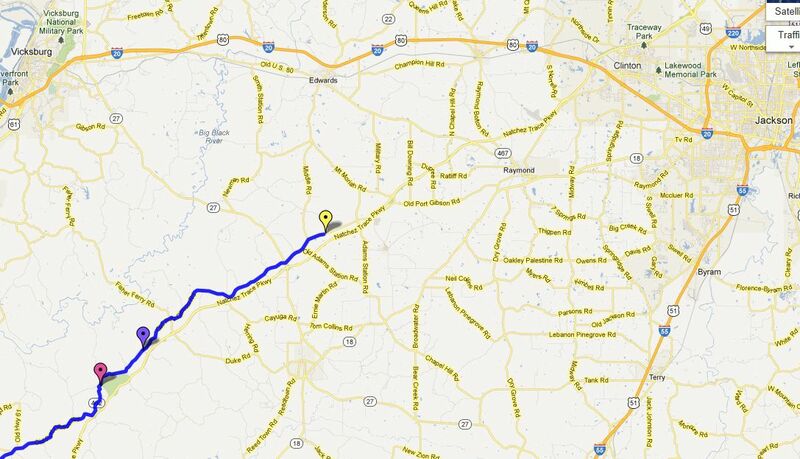 Yellow pin - approximate campsite of 16th Ohio on the Jackson Road (now called Old Port Gibson Road) on the night of May 10, 1863.